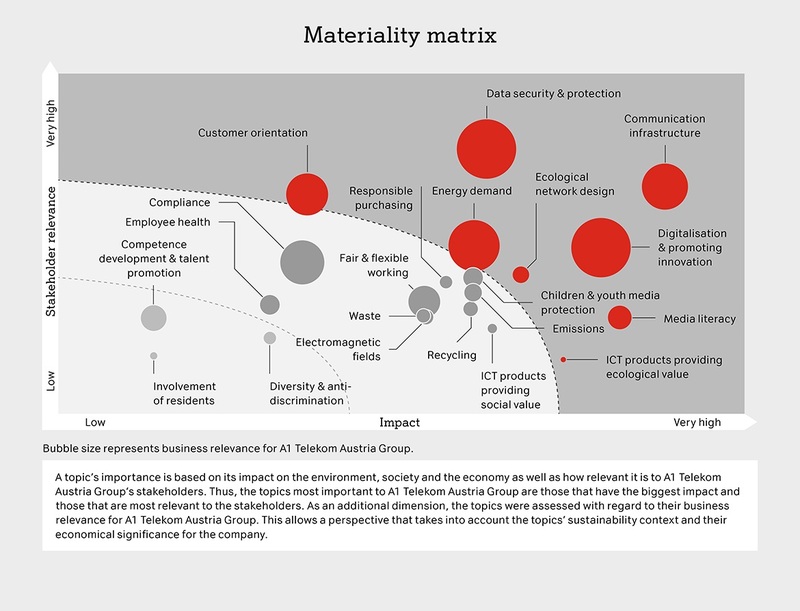 In 2012 A1 Telekom Austria Group conducted a materiality analysis for the first time in order to thoroughly revise its sustainability strategy. In 2015 the strategy was adapted within the framework of a new materiality analysis. As a result, the A1 Telekom Austria Group's sustainability strategy today focuses on the most material issues and places greater emphasis on its core business. The Group identified those topics that are of the greatest relevance for the company and how they can best be integrated into the core business in a materiality analysis. As part of this process, the A1 Telekom Austria Group analysed and prioritised all social and ecological aspects along its value creation chain and then visualised them in a matrix. 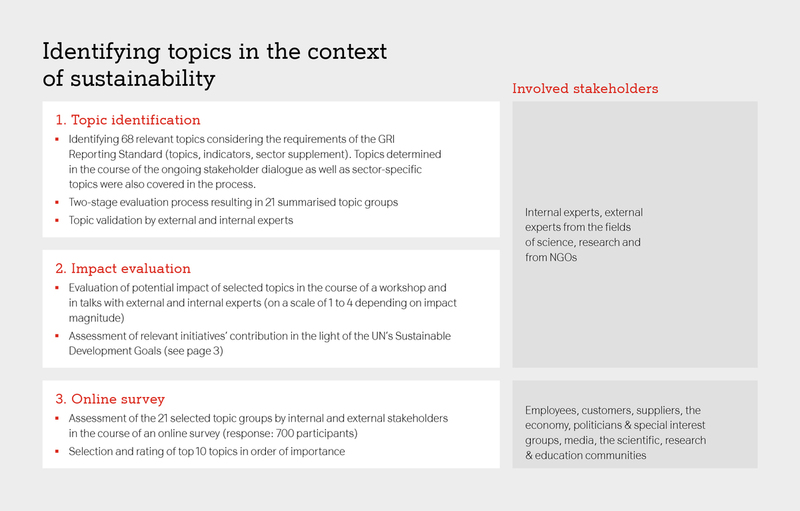 Based on this, four strategic action areas were developed that are especially relevant for the sustainable development of the A1 Telekom Austria Group. And this work is continuing: Every second year the A1 Telekom Austria Group again defines the relevant topics in consultation with its stakeholders. As a result of another materiality analysis 2017, the topics of data security and protection as well as communication infrastructure emerged as the most important ones. The topic of data security and protection has gained in importance. Both customers and suppliers rank this topic as the most significant one. Employees, on the other hand, regard fair and flexible working as the most important topic. Overall, stakeholders give topics such as waste and employee health less priority. 2017's materiality analysis furthermore put greater emphasis on impacts.